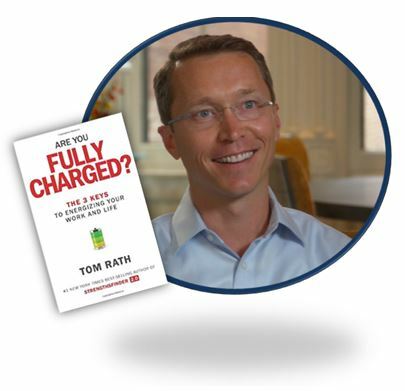 On August 28, 2015, we had a Q&A Interview with Tom Rath, a leading expert on strengths and wellbeing and author of six New York Times bestsellers including Are You Fully Charged? : The 3 Keys to Energizing Your Work and Life, paired with the upcoming feature-length film, Fully Charged. Tom Rath is a Gallup Senior Scientist and Advisor, a leader in that organization’s work on employee engagement, wellbeing, and strengths and leadership. 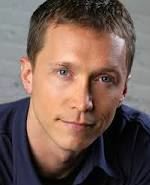 He has authored one bestseller after another over almost a dozen years, selling over 6 million copies of his books to an international audience reading in 16 languages: How Full is Your Bucket?, StrengthsFinder2.0, Strengths Based Leadership, Wellbeing, and Eat Move Sleep: How Small Choices Lead to Big Changes. His latest contribution is a synthesis of over a decade of writing and many more years of research: Are You Fully Charged? The 3 Keys to Energizing Your Work and Life. Coming this fall, Fully Charged is the feature-length documentary paired with the book Are You Fully Charged? Fast-paced and inspirational, the film shows how we can take advantage of the latest research to approach each day with more energy, a focus on building positive relationships, and an enhanced sense of meaning. Information and insights are offered from the world’s leading experts on behavioral health, social networks, the psychology of spending, decision-making and behavioral economics, willpower, and the role of meaning in our work. The film also follows individuals and organizations involved in transforming themselves and their communities. Inspiration flows from witnessing changes across many settings: a company where employees work on treadmill desks, a church that gave its members $500 to spend on others, a “guerilla gardener” who plants vegetables in L.A.’s abandoned lots, the U.S Army Surgeon General, and the co-founder of an organization that has helped thousands of low-income students make it to college. 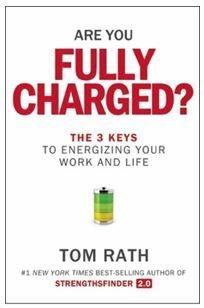 Filled with new information and provocative real-world stories, Fully Charged highlights some of the most practical ways we can all energize our work and life, and inspires us to keep turning to Tom’s book for even more positive change–sustaining the recharge. But Tom goes beyond making a compelling case with his synthesis of research: he challenges us to renew ourselves–to make small changes on a daily basis using more intentional, mindful choices in favor of our own well being, relationships, and life purpose. Drawing on inspirational and sometimes personal stories of change, he presents practical ideas and steps for incremental positive changes that will grant us a “recharge” and contribute to fulfillment in work and life. Over the past 20 years, Tom assembled a wide range of information on the impact of eating, moving, and sleeping by reviewing hundreds of studies a month. He had a sabbatical from Gallup in 2012, took himself offline, and stopped travelling and speaking in order to address what he felt to be the biggest social and economic challenge of our time: improving health and wellbeing and preventing disease. He had the statistics, the knowledge about wellbeing, and felt compelled to be a part of fixing what he saw as a global health crisis. The book resulting from his self-imposed hibernation, Eat Move Sleep, presented a host of online tools for individuals, groups, and organizations to use. Written in his classic conversational style, Eat Move Sleep features the most proven and practical ideas from his research. A quick read and also accessible in short bites, the book offers advice that is comprehensive, yet simple, and often counterintuitive but always credible. Eat Move Sleep will help you make good decisions automatic-in all three of these interconnected areas. With every bite you take, you will make better choices. You will move a lot more than you do today. And you will sleep better than you have in years. More than a book, Eat Move Sleep is a new way to live. The latest edition (2015) of Eat Move Sleep includes a new mobile app that not only tracks how you eat, move, and sleep–it allows you to connect with friends across various platforms (eg. Android, iOS) and mobile devices (eg. Fitbit, Jawbone, Garmin, myfitnesspal). Unique and user-friendly, theWelbe allows you to keep all your diet, fitness, and sleep-related info in one central place and share it with friends. Much of what we think will improve wellbeing is either misguided or just plain wrong–wellbeing isn’t just about being happy, wealthy, or successful. And it’s certainly not limited to physical health and wellness. Focusing on any of these elements in isolation may bring about frustration and even a sense of failure. While it might be easier to treat these critical areas in our lives as if they operate independently, they don’t. Gallup’s comprehensive study of people in more than 150 countries revealed five universal, interconnected elements that shape our lives: the five essential elements of wellbeing can be categorized as Career, Social, Financial, Physical, and Community. Wellbeing: The Five Essential Elements provides a holistic view of what contributes to wellbeing over a lifetime. Written in a conversational style, the book is filled with fascinating research and novel ideas for boosting wellbeing in each of these five areas. With a better understanding of what makes life worthwhile, a daily sense of enjoyment and wellbeing can increased, and this has a ripple effect on family members, colleagues, and the surrounding community. Each copy of this book includes a unique ID code for Gallup’s online Wellbeing Finder, a program designed to help track and improve personal wellbeing over time. 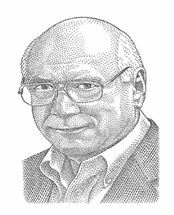 Recognized by Fortune 500 leaders as one of the greatest thinkers of his generation, Tom Rath came from humble beginnings and remains an unassuming, quiet introvert, happy to get lost in a book or run around the house with his children. He was born and raised in Lincoln, Nebraska, surrounded by educated adults. His maternal grandmother, who was one of his grade-school teachers, read to him constantly. When in kindergarten, he actually read 52 books in a one-week competition! Tom’s maternal grandfather was psychologist Donald Clifton, who was recognized and honored by the American Psychological Association as the “father of strengths-based psychology and the grandfather of positive psychology.” As a young boy, Tom relished hanging around his grandfather’s company in Lincoln, Selection Research, which later was acquired by Gallup, where his grandfather became chair in 1988. At 16, life as Tom knew it abruptly changed. He was playing basketball with friends when he noticed a black circle in the middle of his visual field–which didn’t go away. It turned out to be a tumor growing on the back of his left eye. Further tests revealed that he had a mutation causing a rare genetic disorder called Van Hippel-Lindau (VHL) which produces ongoing, rampant cancerous growths throughout the body. As a teenager, then, Tom was immediately thrown into wrestling with larger questions about his future: Marriage? Kids? Longevity? Maintaining Health? And, as a teenager, the impact of letting other people know about his illness. In a sense, Tom’s career in research was launched at that time: the doctors in his Nebraska hometown had no treatment solutions, but he was able to research and locate help at Johns Hopkins. Though heroic efforts were made to save his eyesight, he did not regain vision in that eye. Since then, in spite of numerous tumors that have surfaced in his kidneys, adrenal glands, pancreas, spine, and brain, he has remained focused on learning everything he can to manage his cancers and increase his odds of living longer and more fully. Tom obtained a B.A. degree in Psychology from the University of Michigan, and then an M.S. in Psychology from the University of Pennsylvania. Though he had multiple job offers after college in 1998, he chose to work with his grandfather at Gallup. Four years later, Clifton was diagnosed with stomach cancer, and Tom applied the approach he’d used earlier, putting his energy into locating research and treatment options for his grandfather. Tom spent much of his time at his grandfather Clifton’s side, and wrote him a ten-page letter of appreciation for the impact he’d had on Tom’s youth and career. Clifton was touched and noted Tom’s talent for writing, then invited him to help write a book about Clifton’s long-held “dipper and bucket” theory: people either fill each other up or dip from each other’s buckets, depending on positive or negative interactions. Clifton wanted to show how even brief exchanges can have meaning–and he wanted the book written in two months. Tom, who had never considered himself a writer, took on the challenge and learned to write under intense pressure, finishing the first draft of How Full Is Your Bucket? Positive Strategies for Work and Life (2004) the day before his grandfather died. The book was an instant bestseller and rated #1 on the New York Time’s List, launching a stellar writing career for Tom. Tom continued his work at Gallup, expanding his grandfather’s research on strengths by managing an online personal strengths assessment called StrengthsFinder, presented in the book StrengthsFinder 2.0 (2007), and later coauthoring (with Barry Conchie) Strengths-Based Leadership: Great Leaders, Teams, and Why People Follow (2009). He responded to parents’ and educators’ requests for children’s materials by producing How Full is Your Bucket for Kids (2009) and classroom materials now on his website. As the global practice leader of workplace consultation at Gallup, Tom was responsible for overseeing research on leadership and strengths, employee engagement, and well being, which yielded another book: Wellbeing, the 5 Essential Elements was coauthored with Jim Harter (2010). 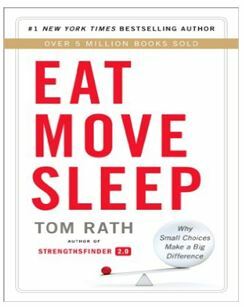 In 2012, Tom took a much-needed sabbatical year to integrate research and write Eat Move Sleep: How Small Choices Lead to Big Changes. Following its publication, he returned part-time to Gallup as a Senior Scientist and Advisor. An updated version of Eat Move Sleep (with information on the accompanying App Welbe) was released this year, along with his second children’s book called The Rechargeables: Eat Move Sleep. Rather than dwelling on the genetic condition he cannot control, Tom has adopted a “watch and wait” approach to his cancers with annual physicals and MRIs, CTs, and eye exams to gauge the size of tumors and assess the need for surgery. He has kept abreast of the latest health and wellbeing research for 20 years now, regularly reading hundreds of academic and research-based articles on health and lifestyle changes, so he can make better choices for his health and longevity. He feels his life depends on each decision. And his international audience has benefited from his exceptional ability to capture and share what he has learned about strengths, relationships, and wellbeing. By exercising more conscious choices, Tom has lived with a better sense of daily wellbeing, an appreciation for positive interactions, and a clearer understanding of purpose and meaning in his work and life. 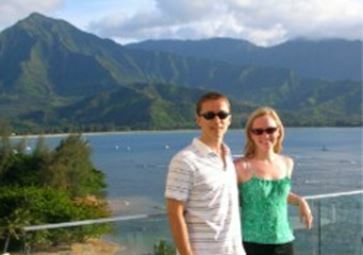 He enjoys living with his wife Ashley, a reading specialist, and his two young children, daughter Harper and son Everett, in Arlington, Virginia. Tom’s website, with access to his books (including children’s books) and his blog. Sign up to receive notice when his Fully Charged film comes out this fall!